Are you looking for ways to show your team's appreciation for past greats? 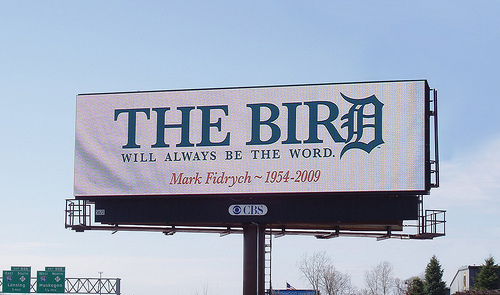 The Detroit Tigers recently honored Mark "The Bird" Fidrych, one of the club's all-time greats, with a billboard to commemorate the contributions he made to the organization. Fidrych unfortunately passed away on April 13th, 2009 at the age of 54.